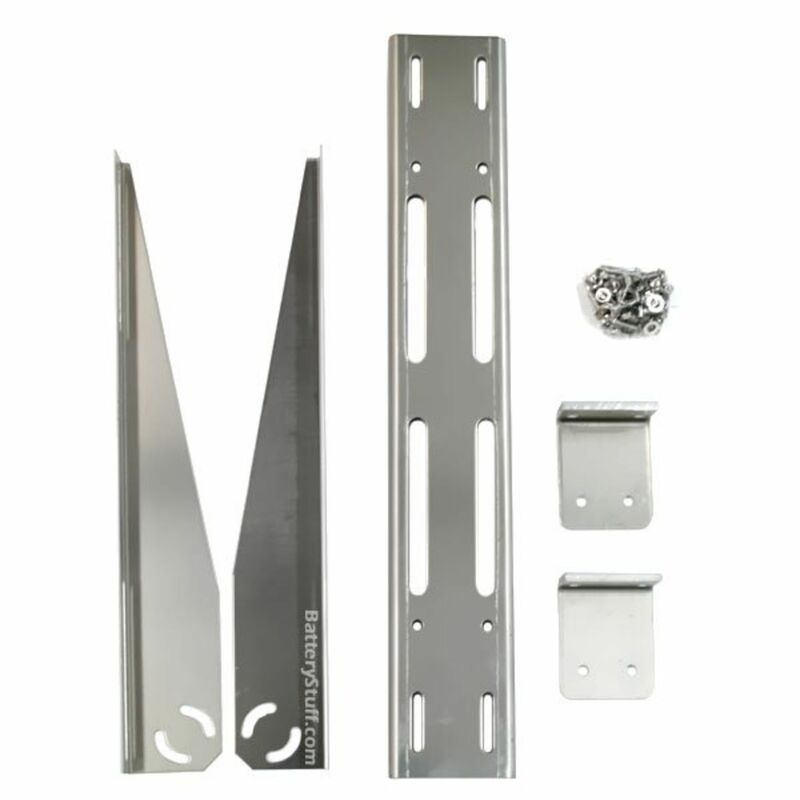 The Universal Flat Mount Bracket Kit has been specifically designed for use with Solarland 45 to 70 Watt panels. 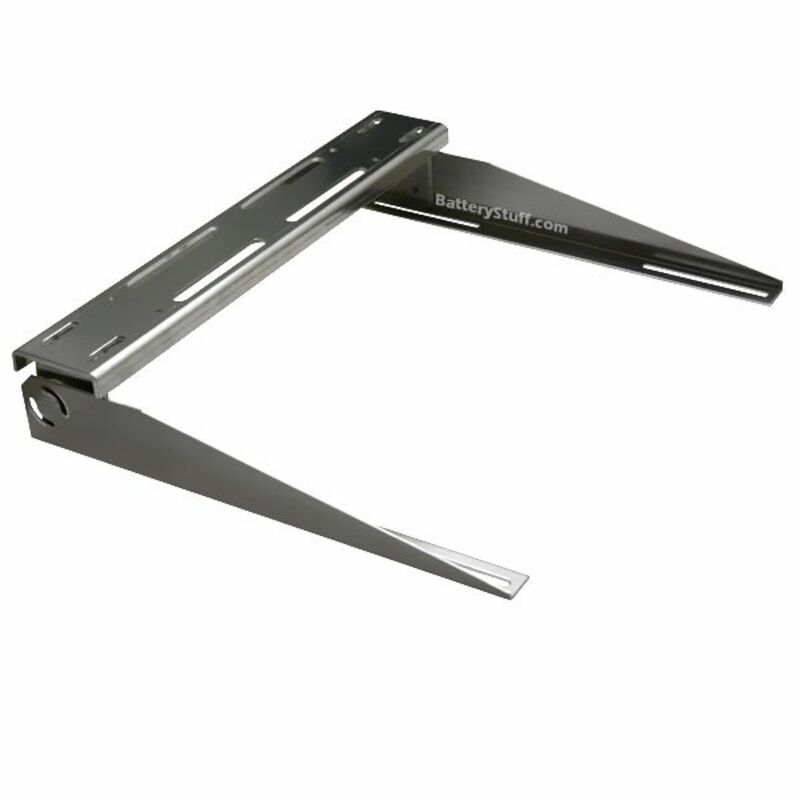 This mount is a fixed, flat, or pole mount design giving a tilt angle range of 0° - 90°. Installation is simple. Attach the solar panel to the SLB-0113 mounting bracket using the nuts, bolts, washers, and lock washers provided. We suggest you lubricate all nuts and bolts to facilitate easy removal at a later date. 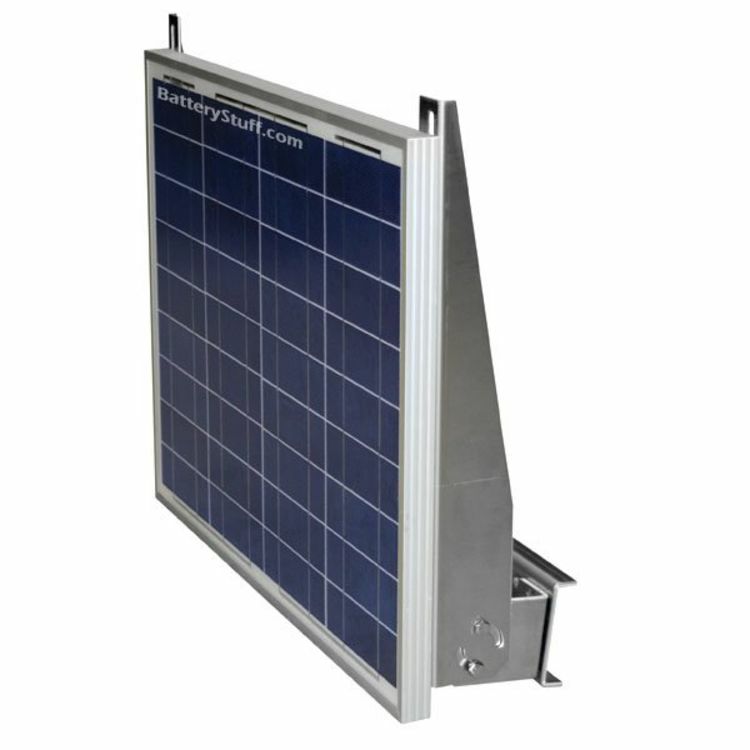 Caution: Additional mounting holes may be required if using this mount with a panel other than the 32 Watt or 45 Watt solar panels. Great care should be taken when drilling holes as damage to the panel can easily occur, rendering it useless. To adjust the tilt angle of the solar panel, change the location of the bolts in the arc hole of the tilt arms. Remember to use lock washers to prevent vibration from working them loose. 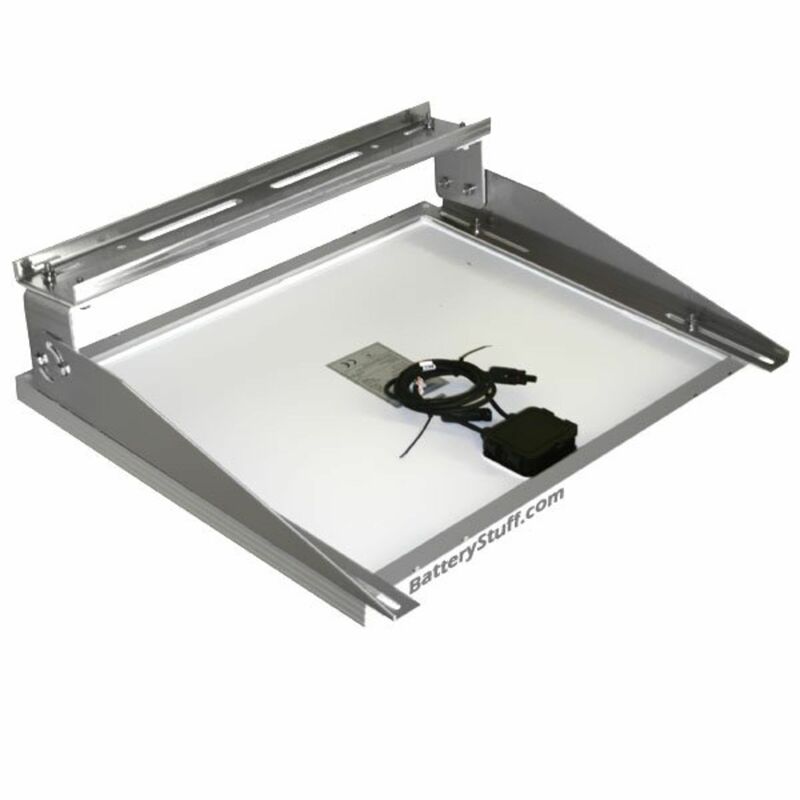 Place the panel and SLB-0113 mount assembly on a mounting surface in the exact place to be installed. Use at least 4 fastening points. Use four M8 bolts, washers, lock washers, and nuts if possible. Otherwise use wood screws, sheet metal screws, anchors, or molly bolts (not included). Be sure to seal all roof or wall penetrations with a compatible weatherproof sealant. The sealant is not included in the kit. Pole mounting can be accomplished using two U-bolts (not included). Do you own the SLB-0113? Please, tell us what you think about it. It helps us provide you with better products. Please note that it may take up to 72 hours for your review to appear.